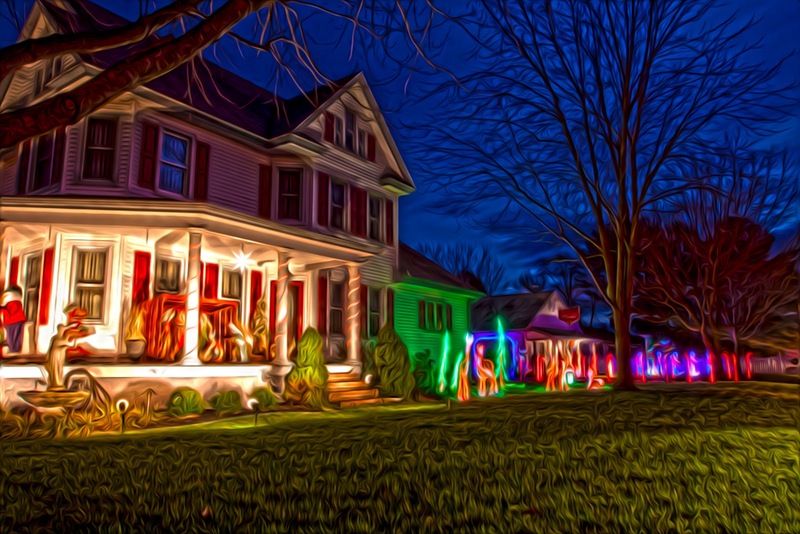 A digital painting portraying a nearby house decorated for the Christmas holiday. A seven shot series, at 1 ev. 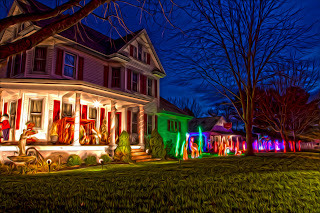 spacing, was merged to HDR, tonemapped and then loaded into Pixel Bender to produce the painterly effect.